To promote the safety and wellbeing of America's equines through Advocacy, Education, Outreach, Supportive Programs and Rescue, while Fostering the safety and wellbeing of the human spirit, through activities and programs, as our Rescue Horses Rescue Humans in need. 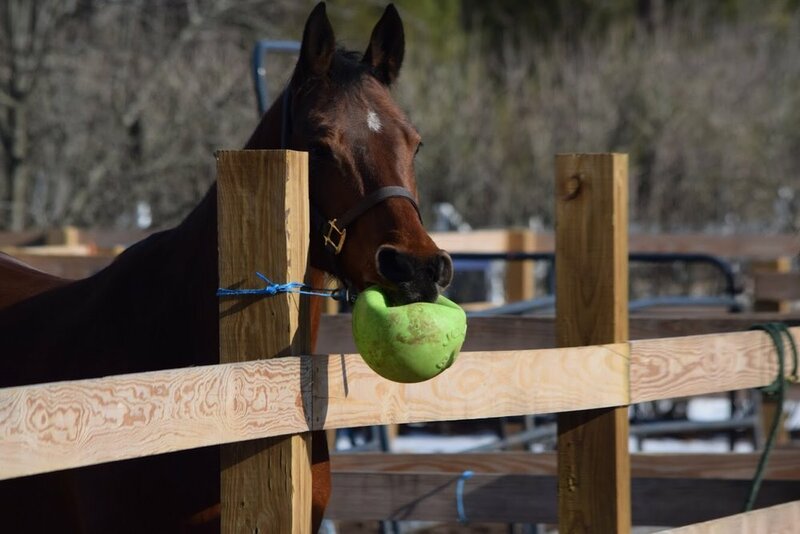 US Horse Welfare and Rescue (USHWR) is a registered 501(c)3 nonprofit (EIN# 81-5426839) established in February 2016 at Nod Hill in Avon, CT on 20 acres of land. We are dedicated to saving America's unwanted and "at risk" horses from slaughter through direct rescue, advocacy, education, community outreach and solution-based supportive programs. USHWR works in conjunction with the American Society for the Prevention of Cruelty to Animals (ASPCA), the Humane Society of the United States (HSUS) and other equine rescue organizations across the country promoting awareness and legislation to put an end to the sale and transport of America's horses to slaughter. So, what was the ignition behind founding USHWR? For Susan Mitchell, USHWR's founder, it all started with a story. 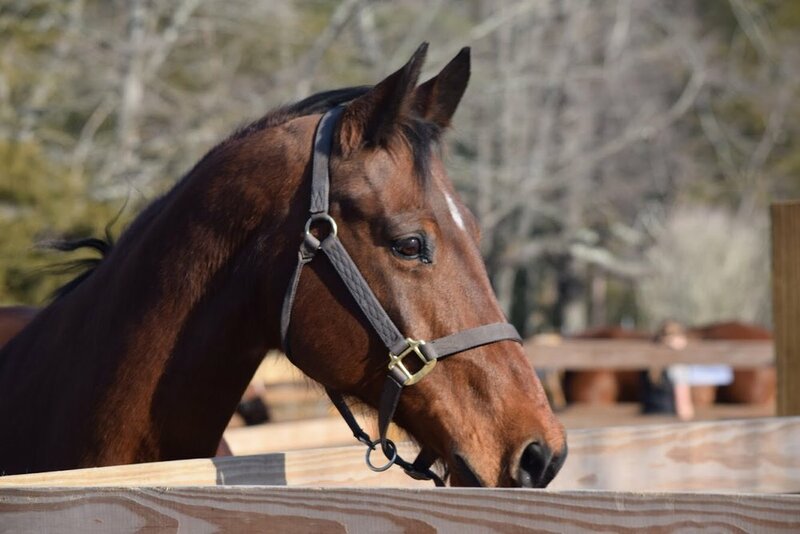 When Susan read the story of a teen who went online and saw a post and picture of a horse just rescued from a kill lot in PA she thought it looked a lot like her horse she had sold several years prior. Upon communicating with the rescuer the two determined it was in fact her horse, which she had sold with a Right of First Refusal contract many years ago. The teen and her parents, who lived in Chatham, MA packed up and drove through many states to the rescue to reclaim their girl. This teen was so close to this horse that she had taught it tricks, such as bowing. When the teen approached her horse and said her horse's name the horse began to bow to her. Through all those years, that horse held on to the memory of her girl and their tricks!! "When I read this story I sat there and just cried for the longest time. To this day I still can't tell this story without crying," says Susan. "That was the turning point, the moment when I said to myself This is so wrong." From those tears emerged an undying commitment to fight to protect unwanted, at-risk equines from the horrors of the underground horse slaughter pipeline. These days with an amazing group of volunteers who share the passion and dedication, USHWR is working daily to grow awareness and save America’s horses from unthinkably horrific deaths. As advocates for the horses, USHWR Board Members and volunteers frequently speak with people we meet about the plight of America’s horses. What our conversations have taught us over time is that even some who have owned horses for many years do not know about horse slaughter and how easily it can happen to their horse. These conversations at our advocacy and outreach events have made it ever so apparent to us that a majority of horse owners as well as the general public truly do not know the inherent risks associated with giving away, trading, leasing or selling horses. Even fewer individuals are familiar with the existence of the horse slaughter pipeline and the atrocities that await any horse caught up in the auctions and kill buyers' hands. Too often we sell or give our horses to local barns, horse traders, other horse owners or even friends of friends with naive beliefs that our beloved steeds will be safe. Too often those equines are sent to auction, sometimes within days of the owner trading or selling the horse. Too often the best of them are purchased by kill buyers, taken to stand in a paddock with 30 others fighting for water and a scrap of hay and being badly beaten up by the alphas. Too often the horse's final trip is one crammed in with 30 others shipping to Mexico or Canada for hundreds of miles without food, water, rest or the ability to get off their tired feet and fighting with others. Too often horses fall in transit and are trampled to death during transport or end up with a painful broken leg unattended to for the entire trip. AND all too often horses are fully conscious, yes, fully conscious, when they are being cut up!!! This happening to even one horse is ONCE TOO OFTEN! Yet, this is the norm for our “unwanted” horses. And yes, too often they are young, healthy, vibrant and capable of great things and were great in their discipline, never given a chance to live. So, how does this horrific abuse go undetected or unpunished at the auctions, kill lots and through transport? Horses are unfortunately considered "livestock". That amazing show horse that the owner can no longer afford or care for and the wonderful pony that has been the babysitter for some child in a show ring or at summer camp is currently provided no safety net by our government to keep it from the slaughter pipeline and the abuse that goes with it. In fact, at the end of every summer the auction lots are full of those sweet babysitter-type horses and ponies because kids outgrow them, teens go to college and camps have no way to keep them over the winter. People simply don’t know! Many who have not had close interaction with equines are unaware of their intelligence, the bond to their "family", the loyalty to their person, or their ability to suffer physical pain as well as emotional and mental anguish. Horses have feelings, they think, they are intuitive and suffer just as we do. At the end of the day, creating awareness about the underground horse slaughter pipeline is paramount to USHWR accomplishing our goals. Too many wonderful horses are ending up in kill lots and being sent to slaughter. Americans can do better. Overall, with the help of dedicated volunteers and donors, we will continue on our mission to reduce and, someday, completely eradicate the sale and transport of America's horses to slaughter. You can help us by supporting the SAFE Act.